Map, References found on intro. Soviet Union: "Mass Graves containing the bodies of 12,500"
The German Government estimated that 65,000 people died in those Soviet run camps or in transportation to them. as I was passing on information of your great website I had a complaint that the DP Camp of Munich 'Schleissheim' was not mentioned. 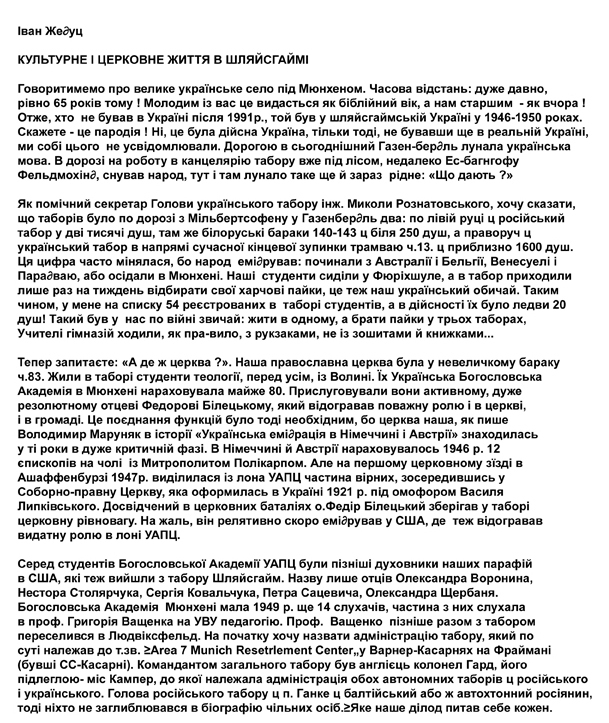 I am attaching a Schleissheim document to whomever is interested, but unfortunately it is in Ukrainian which I am ashamed to confess that I cannot understand. Click here to access and print SchleissheimPg1.jpg and SchleissheimPg2.jpg. Thank you for this wonderful site which I recently discovered! Like many children of DP's I know virtually nothing about this period in the lives of my parents. This is a phenomenon of not only DP's. It has been often reported that American GI's also rarely spoke about their experiences during the war. I am seeking anyone who may have had contact with my parents in the postwar DP camps from 1945 - 1949 when they were able to immigrate to the USA (Gonzales, Louisiana). My father Alexander Kuzichev and mother Nadejda (maiden name = Smoliak - DOB=1929) were married in 1949 and came to the USA via special DC-4 flight to New York in 1949 and then on to work on their sponsor's cattle/tobacco farm in Gonzales, Louisiana. Their last residence in Germany was the Schleissheim DP camp. My parents were actively involved with the Baptist group in Schleissheim which her uncle Georgg Winogradski led. 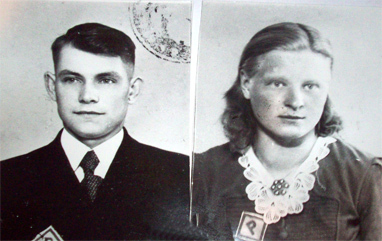 Prior to the war, my mother had been living with the Winogradski's (Georg & Maria)in Kramatorsk (Donbass area of USSR) when they were taken to work in Munich by the retreating German army ARO 1944. Georgg Winogradski was an electrical engineer and the Germans had him running the Munich power plant? My father was born in Stavropol, USSR in 1924 but I have no information on how he came to be in Munich at the end of the war. 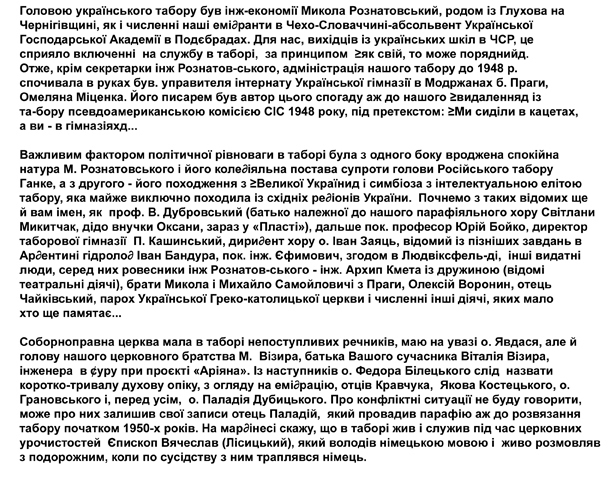 Initially he was in the Russian army and I believe ended up in the German army toward the end of the war defending Berlin against the approaching Russian army. 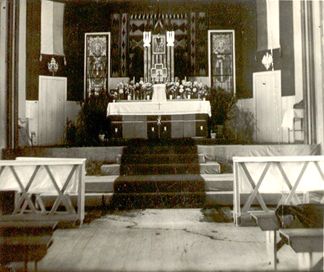 Between 1945 - 1949 my parents would often visit friends and Churches as well as other Baptist groups in Munich, Stuttgart, Minden, Hanover and presumably they met at one of the Churches on such a trip. My father later attended a Bible Institute in Frille in 1948. I am also seeking information about my parent's sponsor - a Louisiana farmer. I found one note from Donna Morris (Ingolstadt DP camp) referencing a Louisiana farmer who sponsored her family so perhaps there were other families who ended up in Louisiana. So far I have been unable to connect with Donna or anyone else who came to be in Louisiana. Also so far I have not been able to get any other information from public archives in Gonzales, Louisiana. I have also written to the ITS requesting any information they might have on my parents and her uncle and aunt and am still awaiting a reply. 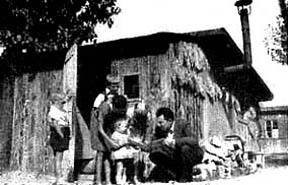 Mrs J Henshaw was with Ethel a Camp Camp Fohrenwald and later Director of the International Children's centre on Chiemsee. Juden in Schopfloch website in German, photos of gravestones, now has English pages. http://www.alemannia-judaica.de/images/Images%20131/Schopfloch%20FLZ%20251007.jpg website in German, news article on Angelika Brosig's research work. I have just come across your great site and was wondering if you or someone out there may be able to help me with information on my wife's father who was in 2 camps between 1938 and 1948, Camp Burgdorf and Camp Schulenburg, before coming to Australia. His name was Michael Kurylko born in Jaslo Poland or Ukraine as he said he was Ukranian but we are not sure....if you can point me in the right direction to follow up that would be so helpful. *Rems River, at the northern foot of the Swabian Jura mts. It has long been known as a gold-working and silver-working center. 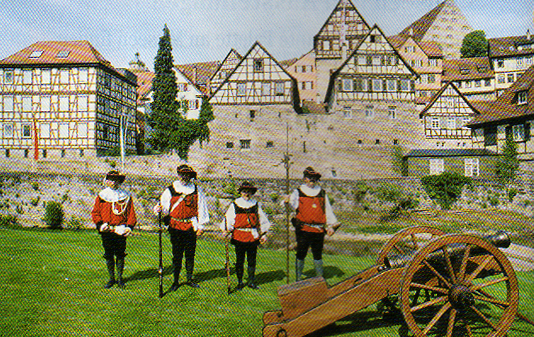 Founded by the mid-12th cent., Schwebisch Gmund was a free imperial city from 1268 until 1803, when it passed to Württemberg. Sleeping accommodation for a daughter of a Lithuanian choir and orchestra conductor. On the right, former Lithuanian judges are learning automechanic's trade in DP camp Schwebisch-Gmuend. 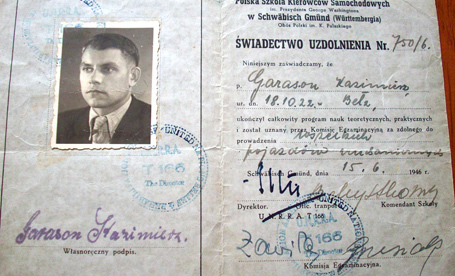 My father Cass Garason was born in Belz, Poland and mother Christine Wojcicki born in Boiska, Poland, were taken by the Germans to forced Labor Camps. They were in their teens. I do not know the names of the forced Labor Camps they were in. I was born in Heilbronn, Germany (UNRRA camp) in 1948. After the war they remained in DP camps in Germany until 1949, when they finally immigrated to the US from Bremen, Germany. 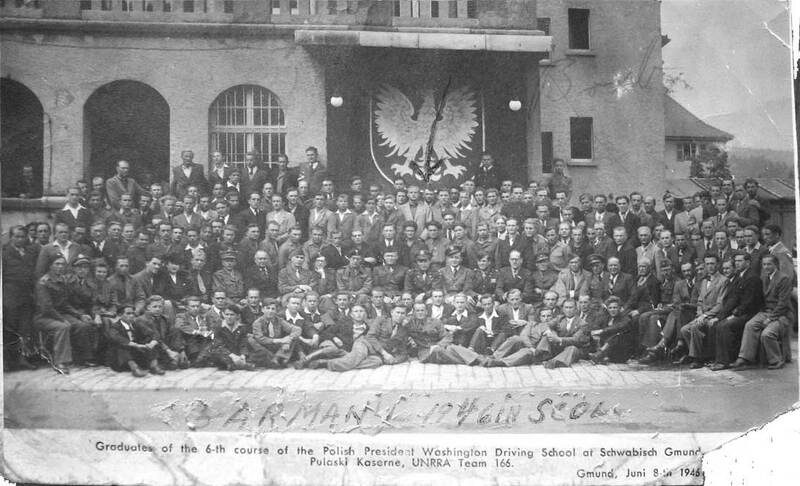 My father talked about the driving school he attended in Germany (Schwabisch Gemund). He drove trucks for the US Army until coming to the US. The photo shows him right under the tail of the Polish Eagle. 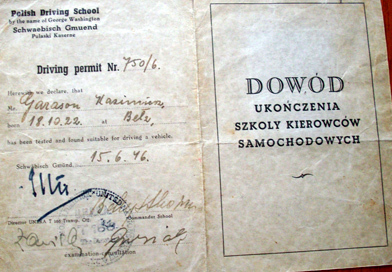 I also sent along the book (permit) he had from the driving school. Maybe some one on your site will read and know about the school. Thanks again for all your help in my journey to discover my roots. 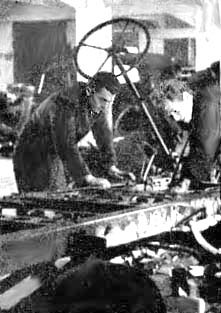 certified that Garason could work as a mechanic. The correct spelling is Schwäbisch Hall / Schwaebisch Hall instead of Schwabisch Hall or Schwebisch Hall. Submitted by: Wolfgang Strobel, author of Post der befreiten Zwangsarbeiter - Displaced Persons Mail Paid in Deutschland 1945 - 1949. Ampfing, Aschau, Attel, Augsburg, Bad Kissingen, Bad Worishofen, Bamberg, Berchtesgaden, Bindlach, Bodenhausen, Bonn, Breslau, Foehrenwald, Feldafing, Frankfurt, Furstenfeldbruck, Hamburg, Hengersberg, Hockel, Landsberg, Leipheim, Lubeck, Marburg, Nordheim, Passau, Regensburg, Rendsburg, Rosenheim, Schwandorf, Straubing, Stuttgart, Tirschenreuth-Opf., Ulm-Hindenburg. 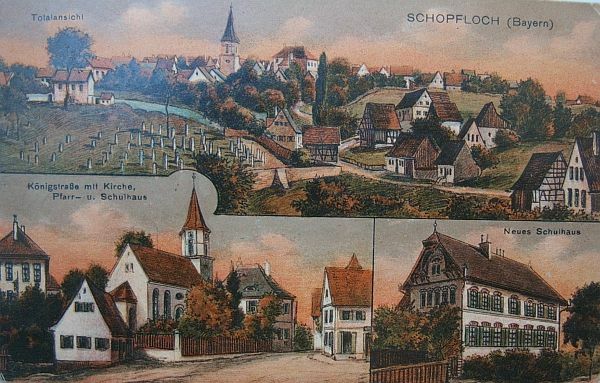 Schwebda and Schwäbisch Hall are two different places: Schwebda near Eschwege is today named Meinhard bei Eschwege. Submitted by: Wolfgang Strobel, author of Post der befreiten Zwangsarbeiter - Displaced Persons Mail Paid in Deutschland 1945 - 1949. Thank you for presenting such a history of ordinary people caught in terrible circumstances. 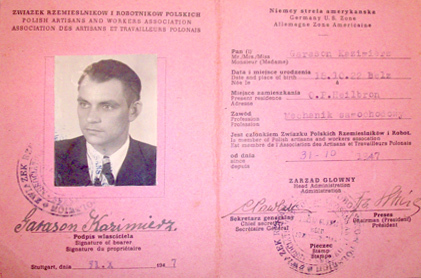 Perhaps you can help or point me in the right direction, My father was Latvian who I believe was transported to Germany as a forced laborer, his age at the time was 13 years being picked up by the Germans and placed on a cattle truck. This was the last time time he ever visited the country of his birth--primarily because of the Russian take over after the war. I am simply trying to discover if there any ways in which I can search out back ground details as to his life prior to being sent to Britain as a displaced person. It was a period in his life that he spoke little of. With stories only really beginning with his liberation by American troops. There's a large industrial complex there now. Seedorf, #249, (British zone); has its own page. Sehberg - Polish POW soldiers held by Germans. Soviets had control over Poland. Polish POWs didn't want to go home. This story tells of extreme food shortage in the camp, POW refusal to go to their Soviet-occupied Poland home. (Computer translation:) In camp Sehberg, the British expressed sensitively to documents issued by the camp line, which showed that one tried tried to express own authority anzumassen and thereby also British instruction power to entziehen. [3 ] with this procedure those Poland their discontent over it that the right of self-determination seemed no longer ensured to them. Probably for these reasons the British had already decided in July 1946 to concentrate on the remaining 9500 Polish soldiers in few camps of their zone of occupation, in Schleswig-Holstein. Thus also the camp Sehberg was vacated on 28 July 1946 and the Polish soldiers into the large camp after whom peat with Hamburg was shifted. 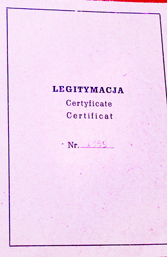 In response for it 430 Polish civilians, "Displaced were sent person", on the Sehberg. These with end of war did not free forced laborers, forced laborer inside and concentration camp prisoners, who came on 8 August 1946 at 14.20 o'clock to the station from Melsdorf. [4 ] thereby were however by any means solved for the British the problems, because in the July of the following year the competent British authority, the director of the camp Sehberg, Lewandowski, was requested by the mission of the new (Soviet-) Polish government in Warsaw, to remove the Polish minister Mieczyslaw Filipowicz and another inhabitant responsible for the camp from the camp. All three were accused of anti-propaganda. They themselves had expressed refusal to return to communist Poland and concomitantly different camp inhabitants beeinflusst. [5 ]. Whether the British obeyed this request, obviously, only the minister can answer. Filipowicz, who was accommodated in the neighbour camp remained and emigrated in 1950 to Baltimore, MD, USA. A further problem was the criminality outgoing from the camp. It concerned the typical offenses of the post-war period: Theft of food, Blackmarket, Black brennerei in addition, force crimes. 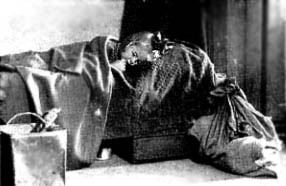 Clearly in camp Sehberg there was an act of violence with connection to the black market business. In November 1946 in a field a corpse had been found, parts of the Polish NCO Garbatzki from the camp Sehberg. This murder could never get completely resolved. [6 ] because also the identity of the victim only weeks could be clarified after the grausigen find, has Garbatzki contrary to the deceased of the camp Sehberg specified above a gravestone on the cemetery of Flemhude. A total evaluation of the criminality cannot be made for the camp Sehberg in view of the unsatisfactory living conditions. In the case of an evaluation from historical perspective however the general lack situation is after the war to consider the suppression that Poland during the German crew of Poland and the humiliating and hunger during the time of the hard labour and in the concentration camps in Germany. To never exclude completely it is also that the accusations should mask own offences against the laborers deprived of food by the German population. This was a DP camp in Landshut. See Landshut listing. In this "Zisterzienserinnen Kloster (nunnery for women) Seligenthal" were 1250 Polish DPs here. opens two documents: You can find an interesting book on Zwangsarbeit (forced workers) in the church, and a documentation on the files on "Zwangsarbeit" in the area of Sigmaringen. 9/26/04 Kudos! It is great to find your website and your work is appreciated. Can you tell me where I would find the D.P. camp my father was born in after the war? I was told it was in Stingelfingen, Germany. I don't know if I have spelled that correctly! I cannot find this camp on your website but would appreciate being directed anywhere where this camp is mentioned. Would records exist that can be accessed online of the births in this D. P. camp? 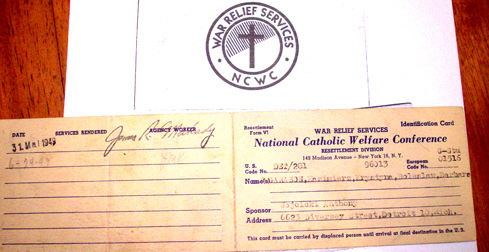 DPAC (Displaced Persons Assembly Center) 252 in December 1945.